Snow Palms - Origin and Echo. Vinyl LP, CD. Bleep. The Village Green label do a fine job of chronicling some of the more intriguing developments in contemporary English classical music. 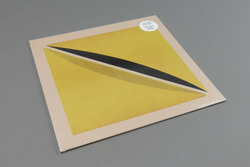 Snow Palms’ 2012 record Intervals was one of the label’s early drops, and the two come together again a half-decade later for the release of Origin And Echo. David Sheppard is the project’s mastermind, and he has constructed eleven tracks rich in energy and thrust. Given the LP is largely comprised of rhythmically dense compositions built around metallophone, glockenspiel and marimba, the obvious touchstone is Steve Reich’s Music For 18 Musicians. There is also a hint of Kraftwerk’s more ambitious soundscaping experiments in synth diversions like ‘Vostock’.